Student organization cannot have accounts at financial institutions outside the university (US Bank, Paypal, etc.). All money belonging to an organization must be housed in an account within the University. The Hub refers to your financial accounts as Accounts, but across the rest of the University these are called Indexes. Financial accounts are used to transact using university services as well as with outside vendors through Buyway. Student organizations may request to have a financial account set up by filling out the request form. To be qualified for an account, your organization must have an advisor listed on the Hub, and a minimum of 10 members. There are 3 types of accounts/indexes a student organization can have. This index holds your organizations money that was gained through fundraising or dues. Money has to be spent in accordance with the goals and mission of the particular student organization. This index holds funds awarded by the Associated Student Government (ASG). This money can only be used on purchases outlined in your funding proposal and must follow all ASG guidelines. This index hold funds designated to your organization by the University. UD indexes are given to organizations that are affiliated with a department on campus, or regional organizations. Student organization financial transactions are located on the Hub and updated twice weekly. View your organizations transaction history by going to the Finance tab on the Hub, and selecting Accounts. Select Transactions to view all the transaction history for this index, and select each Trans # to view transaction details. 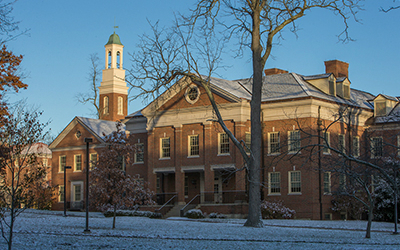 In order to pay for goods & services or make any reimbursements, Student organization treasurers must submit payment requests through Miami University's Buyway system. All requests are made by filling out the appropriate form in Buyway, and this is the only way for student organizations to spend their money. Student Organizations are to use Buyway in order to process all transactions. There are only two individuals who have access to transact within Buyway, the Treasurer and the Advisor of the Organization. In order for the treasurer and advisor to be set up in Buyway, they must first be added to the HUB, and treasurers must go through a mandatory Treasurer Training. During Treasurer Training you will learn how to use Buyway, make deposits, request cash advances, and complete journal entry transfers. Reference this training any time you are making purchases, deposits, or transfers for your organization. If your organization is going to travel, you can request a Student Org Hotel/Travel Credit Card to cover travel expenses (gas, hotel rooms, parking, tolls, etc.). You will receive the funds on a J.P. Morgan declining balance purchasing card. To request a card, the organization’s Treasurer will go to Buyway and fill out the Student Org Hotel/Travel Credit Card form. You must request the card at least 7 days prior to the date you are leaving. You must collect and turn in ALL receipts with the card within 7 days after your travel is complete. Journal entries are used when an expense needs to be transferred from one account/index to the another. This can also be used if your organization is paying another organization for services. Instructions are available if you need help filling out this form.